It's been two weeks since my last article and I'm sure many are wondering what's going on. A lot is going on. So much so, actually, that I've been overwhelmed. My lack of writing hasn't been because there's a lack of prophetic activity or news to report. No—there's more than ever: Kushner is on the verge of unveiling the "ultimate deal," Hamas and Israel are working out the details of a 5-year peace agreement (that's awfully close to seven years! ), the Holy Fire is still burning on the West Coast as the largest wildfire in recorded Californian history still rages, actual pillars of fire have appeared in the United States and England, a mass animal death along the Florida coast has killed a diverse number of species, social media has begun a major, coordinated attempt to silence dissenting (i.e. Christian, conservative) speech, Iran and Turkey are both on the verge of meltdown (hook in the jaw, anyone? ), and so much more. Much more importantly, the Revelation 12:1–2 prophecy has happened, the Jewish Nation-State bill is now law (and thousands are still protesting against it), the second fulfillment of Joel 2:28–32 has now arguably been fulfilled, Daniel 9:25 might be pointing to this year, and biblical signs are now a dime a dozen. And the world still laughs and mocks. Even a few comments here on Unsealed in the last few days have been utterly perfect fulfillments of 2 Peter 3:3–4. I marvel at it all and yet grow numb. I decided to step back for a bit and instead of rushing to the next subject, spend some time seeking the LORD on what He is now intending to reveal. Jesus spent an inordinate amount of time alone with His Father. It was during that time that He found rest and rejuvenation and further revelation from God. As His body we also need that in order to be rested and prepared for battle. 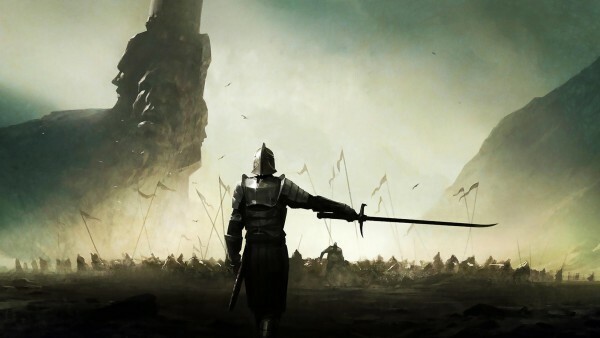 We are presently in a pitched battle, a bloody spiritual war with the principalities of darkness. The fighting will wear you down if you let it. The baby will most certainly be born and we are that baby. We are soon to meet our Head as our faithful LORD so abundantly promises (Rev. 3:10; 4:1; 5:8–10; 12:5; 20:4; 1 Thess. 1:10; 4:16–18; 5:4; 2 Thess. 2:3, 7; 1 Cor. 15:51–52; Acts 15:14–16; Zeph. 1:14–2:3; Jn. 14:1–6; Isa. 17:10–11; 26:17–21; 57:1–2; 66:7–9; Lk. 21:36; Deut. 32:21). And no matter how bad things seem to be getting, the Holy Spirit-indwelt Church is still restraining utter lawlessness. Trump, Kavanaugh, and recent political developments in Hungary, Austria, Poland, Brazil, and Italy are proof positive that evil cannot yet have free reign as long as we're still here. All Gentile saints in the Tribulation will perish (Dan. 12:7; Rev. 6:9–11; 13:7, 15; 20:4), but not all Christians in this age will die (1 Cor. 15:51–53; 1 Thess. 4:16–18; c.f. Mt. 16:18). We may be physically weak, politically isolated, and a byword in society, but though we have little strength, we're indwelt by an all-powerful Spirit. The gates of hell will not prevail against us. Regarding salvation, whether or not you think you're a Christian, I would plead with you to read this article and if you want to dive deeper you can read through the articles listed at the bottom here. It's a truism (look up this word if you don't know what it means) to point out that previous rapture predictions have failed. That's kind of like saying that because you haven't died yet, you must be alive. But that doesn't prove that you will never die. Neither does the failure of past predictions prove that Jesus Christ will never return. All predictions of the future are based on theories and guesswork. There are those that predicted that we would all be using flying cars by now, or taking vacations on the moon, but clearly those predictions failed. Yet we don't see those failed prophecies being used to denounce all other future predictions of technological advancement. I don't know that I know that I know the day or the hour, but I smell bread in the oven and hear someone putting ice in the glasses. Ascension Day in 33 AD to August 27th, 2004 was exactly 2000 x 360 or 720,000 days. Fast forward 14 years and 14 days—F.O.T. 2018. Fast forward seven more years to atonement 2025 and from August 27th, 2004 you get 7,707 days (inclusive). Like Jeff's morning stars post where he explained that morning stars appear to rise from the ground up in the morning, lightning starts in the clouds and comes down, but that part is invisible. It's like the Holy Spirit coming down to regenerate our dead spirits. But the visible part of lightning is always from the ground up, with the strike ending in the clouds! 3rd day - Tuesday - rapture 2018? 4th day - Wednesday - second coming, Wednesday on Yom Kippur 2025? 5th day - Thursday - Millennial Kingdom begins? G.W.T. Judgment 1,000 years later? I found it interesting that in the last barrage of rockets and mortars by Hamas into Israel two pregnant women went into labor. I recalled, of course, all the "woman in travail" references in the Bible and the Rev 12 Sign. I know God never changes and so we can see patterns in the work He does. In Jeremiah 29 the Lord says he will visit the Israelites after 70 years of their Babylonian captivity. In the very next chapter 30, the Lord speaks of the Time of Jacob's Trouble. Well, Israel just turned 70 and God never changes. Could the Lord be about to visit Israel again? Jesus fulfilled the first 4 Biblical Feasts rather quickly. The Feast of Trumpets is associated with the hidden day, day of shouting, last trump and the Jewish Wedding. In 1 Thess 5, Paul said he had no need to write them of the times and seasons because they already knew. So, when Jesus said no man knows the day or hour, the Jews would have known the Feast He was referring to because it lasted 2 days. Two witnesses had to spot the new moon. I truly believe the Lord is about to fulfill the 3 remaining Feasts. Muslim readers, consider for a moment how thousands upon thousands of people have died via human stampede just over the past decade as they undertook the Hajj. If Allah was the true God would he have not intervened? And consider how in 2015 lightning toppled a crane that crashed into the single most sacred site in Islam, damaging the mosque in which the Kaaba is kept. 111 were killed. Why was Allah powerless to stop this? Yahweh and Allah are at war and Yahweh is winning. Please, I plead with you, turn to the true God and be saved. MAJOR NEWS ON THE PEACE FRONT: President Trump set to unveil "Deal of the Century" next month at his speech before the United Nations General Assembly on September 25th, which happens to be the first day of Tabernacles per the observable calendar. Also, it looks like Russia, Turkey, and Iran will be holding a summit in early September, with all their presidents in attendance. What if—and this is a big "what if"—the rapture happened while they were at this summit. Wouldn't that make the perfect opportunity for them to quickly plot and coordinate the Ezekiel 38 attack in the aftermath of the Church's disappearance? Also, Comet 21P will be making its closest approach to earth on the Feast of Trumpets, rising in the sky after midnight on September 11th. Check out the possible (conjectural/speculative) timeline being discussed here. There are TOO many day counts and connections here to list! More than space allows. NOTE: Shemini Atzeret, the Solemn Eighth Day Assembly this year falls seven (7) days before the Draconid Meteor shower. Seven days before the *rain* begins. The root meaning of "atzeret" is the word "atzor" meaning to "stop" or "tarry". I highly recommend digging on this day and its relationship to Sukkot. We are in the days of repentance that stand before the Day of Atonement. As Jonah repented in the shadow of his death so too are we called to humble ourselves before G-D and pray. For as all of Nineveh donned ashes and sackcloth, so too are the nations being called to repent and become obedient unto the LORD. For His mighty right-hand is already raised and prepared to strike. And when it does, woe to you Babylon the Great! Anchor your faith in the LORD and dig of the truth for yourself. Share the love of Christ with those you meet and tell of how G-D has changed your life to those whom He gives you. There was that huge 8.2 the other day. Strong's 73: "struggle" - the word used of the Christian's struggle/race of faith. As the earth quaked about the globe, is there not also a "shaking" in America? Is America being shaken by the seeds that it has sewn? Sewn seeds that have opened cracks so gaping wide that it has split the nation? A nation where the sitting President may be implicated, legally, in a case that, although he will likely not be indicted due to long standing rules concerning a sitting President; some look to the election this fall as a referendum on his rule? The *BIG ONE* is coming and if it strikes at the heart of the United States, politically, socially and economically; what would happen if this wreckage is what stands when the Rapture occurs? Where would America be in the time of Jacob's trouble? Oh, and by the way, if this seems far fetched...it happened on AUGUST 21ST, 2018 -- ONE YEAR TO THE DAY OF THE GREAT AMERICAN SOLAR ECLIPSE. Folks, we are well within the Days of Repentance, 40-days preceding Yom Kippur, the Day of Atonement. The day beginning this period was marked by ANOTHER SOLAR ECLIPSE...this time a partial eclipse that *touched* North America and Asia. The two opposite sides of the globe dominated by the US on one side and China/Russia on the other...*bound* together by a sign in the heavens which is, perhaps, very symbolic of the days we are living in. Abimelek ("אֲבִימֶ֫לֶך") - a Philistine (Gentile) and Israelite (Jewish) name meaning "father is king"
Amen, amen, and amen! Great article. I just heard today that Israel is preparing for a major war/conflict. There are too many signs pointing to our soon rapture. When you "begin to see these things, look up for your redemption draws nigh." Praise God, we are beginning to see these things. Yes, there has been some major sabre-rattling between Israel and Iran in the past week, including with the Iranian navy. On top of that, there is the tumultuous situation in the Gaza Strip, which I speculate could be a ploy by Hamas to get Israel's attention drawn away from other areas. Note that October 4th, 2017 at sundown is the beginning of the Feast of Tabernacles whereas October 5th is the first full day of the Feast of Tabernacles. And 745 Strongs Hebrew word is Aryeh, a name that is also related to Lion. Once calculating to the beginning of the Feast of Tabernacles and again calculating at the end of the Feast of Tabernacles. 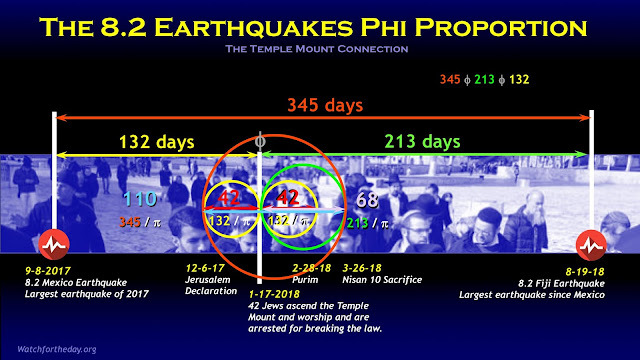 And if the end date is included in the calculation, then we would get 746 and as Gary has pointed out in unsealed.org article (Shmini Atzeret), we would get arche, "Beginning". God is good! "Trump / Pence = say it fast = Trumpets"
Gary, yes indeed our Lord does seem to have a sense of humor OR just trying to make it as plain as the nose on our faces. Bless you brother. Thank you, Gary, for such a timely post. You're most welcome! That's a beautiful one. @Gary, Good to see you've been praying and listening for the LORD's lead. Same thing going on here as well. Thank you for assembling this post. It is an excellent roadmap to important writings and should keep me busy reading for a while. 1. Signs and wonders in the skies as related to prophetic scripture in visible and higher-frequencies of light (especially x-rays). Draco is especially interesting when seen in x-rays in my search for the Dragon sign of Revelation 12. 2. Timing of the Draconid meteor shower. It will coincide with the new moon of 10/9/18 which is seven (7) days after Shemini Atzeret. The Draconids have been "quiet" for many years but have been known to produce some intense showers of *stars* being cast to earth. 3. The Eighth Day Solemn Assembly (Shemini Atzeret) on 10/2/18 as a *gathering* that occurs seven days before the *rain* of meteors upon the earth on 10/9/18 is interesting. The timing rings much like the days of Noah. 4. I think the other sign that appeared in heaven for John is already there and has been from the start. It will only become apparent in it's proper time. (A rather obvious statement but important as it will almost certainly be predicated on the timing of previous signs, days and events). Too many relationships of dates and day counts to mention not to mention Strong's associations and gematria connections. Most of my time has been spent church replanting and ministering to those who need it the most. Prophecy is a powerful testimony to the veracity and authenticity of the Bible. Doubters give pause when you show them the physical and scientific evidence that G-d's word is not only true but accurate and reliable. I found this quotation in an article on the genesis of our universe as being brought forth from a higher dimensional singularity. "The study could help to show how inflation [of space time] is triggered by the motion of the universe through a higher-dimensional reality," the researchers stated. Maybe I'm seeing things or simply misread the article, but it sure sounds like the scientific observational view is converging with the Biblical narrative. It's ironic that they do not know what existed before inflation began. "For all physicists know, dragons could have come flying out of the singularity," stated Niayesh Afshordi, an astrophysicist with the Perimeter Institute for Theoretical Physics in Canada who co-authored the new study. Dragons eh? Not far from the truth. "Signs and wonders in the skies as related to prophetic scripture in visible and higher-frequencies of light (especially x-rays). Draco is especially interesting when seen in x-rays in my search for the Dragon sign of Revelation 12." You really piqued my interest with this one a few weeks ago, so I've started digging in Stellarium. Under the options you can view a variety of different sky maps, including in images in the infrared range. I'm considering Luminos and would welcome suggestions for other tools supported by iOS and Linux. It has been said that the term “hour” from John chapter 2 refers to an epic historical event which was scheduled before the foundation of the world was laid. It has profound prophetic significance. Upon hearing that a group of Gentiles (the Greeks) were inquiring about him, Jesus makes a startling statement. He says “The hour is come” It is quite convincing that it will come when the last Gentile receives Christ as savior. It's truly revelatory and intriguing to consider that for everything, God has an actual appointed "hour." Is trump working with god? I'm very confused. Would you say I should trust the man? I know its up for me to decide, but I'd like the opinions of those strong in the faith. Is 45 working with G-d? Should you trust the man? Do we not know a tree by it's fruit? Is it not to us to discern the fruit of each tree? As you said, it is up to you to decide. Truth is under assault. Without a fixed point as a standard, we have no truth; only anarchy, lawlessness and opinion. the truth listens to my voice." Listening to too many voices is confusing. Listening for the One who is truth? That is daily exercise for your soul. I believe that God puts down rulers and raises up rulers to accomplish His purpose. I believe He has a reason for President Trump and as Christians we are to lift him up in prayer. But again, can we harshly judge Trump when most of what we’re told about him comes from media sources who hate him and could never be unbiased in their reporting? I just encourage us all to step back and treat Trump with the same mercy we’ve been shown by God. I’m not defending his weaknesses, sins or failures; I’m saying he has exercised good judgment in choosing some godly people to serve, and many of his policies have thus far been good for the U.S. and for Christians. I think there is far more to this man than the media allows us to see, and I believe God is using him in positive ways to further His agenda ... and not in the horrific way he used Hitler to get the Jews back to Israel. Comparing Trump with Hitler is just wrong on so many levels. Gary, thank you. I have been trying to put together a time line of events from 2014-15 Blood Moons, the Trump election, the Conception Comet, the Aug 21 eclipse(2017),Rev 12 Sign, Nov 22 Sochi Russia, turkey, Iran alliance. Trumps Jerusalem embassy move; ect… All this last week, going over the events and signs again and again. I'm trying to understand the timeline of Biblical Eschatology. I've been studying the The Olivet Discourse in Matthew 24, Mark 13, and Luke 21. Luke seems to be referring to around 70 A.D. Luke 21:24 Where verse25-28 Matthew's writing is future. I'm still studying Mark. I'm not seeing anything referring to the rapture except maybe Matthew 24:27, and Mark 13:27. Is Jesus talking to the Jews? Who is Jesus talking too in Luke 21:28. I'd sure like some help understanding it. Anyway thanks love you all very much and strongly believe we are seeing the birth pains for sure. Hi Brent - see the following link referencing a video from Chuck Missler which helps explain the three. Matthew 24 and Luke 17/21 and the Olivet Discourse are very interesting prophecies. There is so much to unpack. Suffice to say, from all that I've read and studied on the subject, it's very difficult to ignore the parallels leading up to (and including) 70 AD, HOWEVER, and this is where preterists make a major mistake, if you take the passages literally, there are a number of key points that simply don't line up with 70 AD. Luke 21:20 clearly hints to 70 AD because this is how the story went. Not 1 single Christian believer back then was killed within the borders of Jerusalem together with the other inhabitants massacred as everyone knew beforehand what to do. The gospel of Luke must have been known to the early church (at least in parts) before 70 AD. Dear Unknown, It isn't Trump we should trust necessarily, but HOW God uses him for His purposes. Recall, God even used Satan for His purposes regarding the Crucifixion of Jesus. WHO we need to trust is God - that His plans and His purposes will prevail. Blessings. I don't trust Trump, either, but it's hard to argue with the fact that virtually every anti-Christian organization on the planet hates the man and he's stacking the courts with people who are defending Christian rights. I believe God is working through Trump. Only God knows what's in Trump's heart from a Christian standpoint. If you look at what Trump has done, such as defending the Constitution, standing behind Israel, SCOTUS appointments, etc., it's in the positive direction from my conservative minded viewpoint. The powerful and government type people that hate Trump the most, are some really nasty folk, and some that I would consider downright evil people. That says a lot right there; he must be doing something right because it's hurting their global agenda. I will continue to pray for our President daily, that he do what God directs. I read today that the Hamas-Israel truce would be closer to a year. The interesting point however was the fact that Qatar was falling over itself to support Gaza through the truce. Another article was pointing out that Qatar had just dumped 15 billion on Turkeys lap to support them through their financial 'worries', and we know that Qatar are on very good terms with Iran. Something to continue to watch closely, as they support Irans/Turkeys continued survival (and ongoing military build-up). Interesting. From the Reuters article I linked above, I saw 1 year + renewed for an additional 4 years = 5 years. I have said it before but it still just blows my mind how many professed Christians refuse to acknowledge all the signs lining up. They argue we are not even close. Really? How blind do you have to be not to see what Godd is plainly saying? Thank you for this article Gary. It's great! Dear Terri I think this is because they ARE indeed (still) blind so if God didn't open their eyes (yet) they're "Christians" by name only aka what Jesus calls 'foolish virgins' without oil... Blessings to you! I am so encouraged by the typology. I could be wrong but I truly believe that the Lord's return for His Church is this year, and specifically in a matter of days. One of Paul Watchman Dawson's messages reminded us that the Hebrew calendar is not off. I am not an expert on this, but I agree with what he said. The blood moons of 2014/15 all landed precisely on Passover / Sukkot. I believe God used this to show us where we are. 120 years is broken into 3 sets of 40 Jubilees (2000 years). Adam to Abraham: 40 Jubilees. Abraham to Jesus: 40 Jubilees. Jesus to now: 40 jubilees for a total of 120 Jubilees / 6000 years. Something has to happen now before the 41st Jubilee begins. I certainly am hoping so (: Based on the premise that the Jews correctly announced the Jubilee last year (Gregorian) when Jerusalem turned 50, and that the Jubilee (according to some) technically starts on Yom Kippur, then we would still be in the Jubilee until Yom Kippur this year. Alternatively, if the Jubilee starts on biblical calendar month 1, day 1, then the Jubilee year doesn't end until March/April 2019. “In addition, you must count off seven Sabbath years, seven sets of seven years, adding up to forty-nine years in all. Then on the Day of Atonement in the fiftieth year, blow the ram’s horn loud and long throughout the land. Set this year apart as holy, a time to proclaim freedom throughout the land for all who live there. It will be a jubilee year for you, when each of you may return to the land that belonged to your ancestors and return to your own clan. I'd like to mention to this discussion the latest #Nick VanderLaan video about the "Peace Plan Update: UN General Assembly 73rd Session" because he talks about Yom Kippur being the 'true Yom Teruah' because of the calendar corruption. Now should I call this falling unto the end of Jubilees a coincidence? LOL :-) check it out! Hey all I had a quick question. When Jesus comes back to take us up in the rapture the dead in christ rise first. Does this mean that they are all currently sleeping and are not in heaven? Or that they are in heaven but without bodies so to speak until they are awoken first and raised in the rapture. This may be common knowledge to you all but I do not understand it. Please shed some light! The concept of Soul sleep is interesting and it applies to both Believers and unbelievers. When somebody dies if Soul sleep is what takes place there is no passage of time for those who are passed away so my understanding is that they instantly from their perspective come to the resurrection for believers or the great white Throne judgment for unbelievers. So when Paul says to be apart from the body is to be present with the Lord does make sense even was so sleep because when somebody dies it will be from their perspective instant, it's like they will be instantly Resurrected and raptured and in the presence of the Lord. Thank you Sherry for your words. I understood it being as you described but read something recently that made me doubt for a second. Do you have the scripture that describes what you wrote? We might better understand Hebrews 11:39-40 from that perspective. Blessings to you! Present with the Lord requires no Spiritualization, which leads to the false doctrine of Soul Sleep, absent/Present - Not Mystical - Literal. The Spirits of the Dead will Return with Him - 1 Thessalonians 4:13 "God will bring with Him those who are asleep (dead)" - The reference to asleep is dead (not soul sleep). We know this for The Rich Man SAW and SPOKE about Lazarus when they were in Paraadise Luke 16:26 (before Jesus was crucified) They weren't sleeping - they were aware, just not in their physical bodies, but their spiritual bodies. Gary, have been checking Unsealed daily for posts and was excited to see one today. So appreciate your discipline to pull back, pray and listen. As we approach this fall's appointed times (feasts, moedim, whatever), I can feel expectations arising, certainly within my own soul. The convergence and rapidity of signs is generating an increasing crescendo of expectation in the Bride and I'm so ready to go home! I know you've been told a thousand times, but may I add one more...THANK YOU so much for this site and the message that you and the team bring weekly! You are encouraging the waiting bride around the globe and your reach is broad and deep. What a blessing you all are to us! MARANATHA! Thank you, brother. You're encouragement is a great blessing! This was on one of my friends Facebook post and I was in utter shock!!! There is truly a war going on!!! Maddie, I saw that on my Facebook news this am also, didn't get the whole story but apparently it was taken back to wherever it came from after sitting there for a several hours. YES, we truly are in a war. Saddest part to that fact most people don't realize that or care, and the majority of the general public might think yuck what an ugly statue but does not know OR care what that statue really represents. "...but apparently it was taken back to wherever it came from after sitting there for a several hours." Satan will be cast down and he'll get his kingdom... but only for a very short and paltry few years. I found it interesting that in the last barrage of rockets and mortars by Hamas into Israel two pregnant women went into labor. I recalled, of course, all the "woman in travail". references in the Bible and the Rev12 Sign. I know God never changes and so we can see patterns in the work He does. In Jeremiah 29 the Lord says he will visit the Israelites after 70 years of their Babylonian captivity. In the very next chapter 30, the Lord speaks of the Time of Jacob's Trouble. Well, Israel just turned 70 and God never changes. Could the Lord be about to visit Israel again ? Jesus fulfilled the first 4 Biblical Feasts rather quickly. The Feast of Trumpets is associated with the hidden day, day of shouting, last trump and the Jewish Wedding. In 1 Thess 5, Paul said he had no need to write them of the times and seasons because they already knew. So, when Jesus said no man knows the day or hour, the Jews would have known the Feast He was referring to because it lasted 2 days. Two witnesses had to spot the new moon. I truly believe the Lord is about to fulfill the 3 remaining Feasts. Hi Gary, I always so much enjoy your articles, thank you! I am humbly asking that you would read the following relatively short comment as I value your thoughts and I have had this thought about the rapture for a while now. Thank you again! As we know, the feasts of the Lord are symbolic of God’s plan of redemption. We know that God is not arbitrary and when he spaced the feasts apart from each other it must have served a purpose of His. For example, Jesus died on the Passover feast, the next day Jesus who knew no sin was in the grave under the burial cloth hidden in the tomb (feast of unleavened bread), and Jesus rose on the feast of first fruits. The spacing of the feasts is clearly purposeful and provides a “road map” to future events. Next, a return to the feasts. Based on how Jesus has fulfilled the spring feasts it is reasonable to figure the fall feasts will be fulfilled sequentially in the order God had set. Trumpets is separated by God from Kippur by 10 days. Jewish people refer to them as the ten days of awe (the time of getting right with God and His books). If Trumpets is the rapture and Kippur the return of Jesus to earth then those events are separated by 10 days, but not the usual 24-hour kind, but rather the 360-day kind. In the interest of time: Trumpets 2017 being punctuated by the Sept. 23 sign was the start of 2 a year period of time representing the 2 day feast of Trumpets (“Daniel timing”). In this span Jesus could easily come back to get the church on any 24 hour day within that span without man being able to “know” when it would happen just as He said. Therefore, as of last Sept. 23 we are in the feast of trumpets. It will be no longer than 2 years as in keeping with God’s choice of timing that symbolically is connected to the two 24 hour days of old. It allows a year or more between the rapture and the start of the 7 years of tribulation a.k.a. Daniel’s 70th week. This would allow the antichrist some time to complete his emergence seizing upon the aftermath of the rapture. I truly wonder if we are nearly half way through Trumpets which is our great hope of the Coming of our Savior Jesus to save us from the wrath to come! Very interesting, and agreed with Sherry—though provoking. My present understanding leads me to believe 2021 is an upper limit for the rapture. I could be wrong, but if all things prophesied in the Olivet Discourse (including the second coming) are fulfilled within one generation and the max generation is 80 years, 1948 + 80 = 2028; then 2028 - 7 = 2021. That being said, there's no reason it needs to extend that far. You could be right that 2017-2019 is THE rapture window. This is a remarkable video about the Feast of Trumpets/Rapture. "One of the greatest tragedies in biblical interpretation is that the word has been translated here as 'weeks'. This would require the Hebrew word shavuot. But the word used here is shavuim which does not mean weeks, but simply means 'sevens'. As such it could refer to seven of anything just as the English word "dozen" simply means twelve and can be twelve of anything... In it's context it obviously must be seven of years because Daniel has been dealing with years. He has been counting up the seventy years of Babylonian captivity... Daniel is told that it is not seventy years but that "seventy sevens of years" must pass before the introduction of the Kingdom"
Where in Daniel do you believe a day is actually a year? While Fructenbaum was 'correct', if you follow the pattern of the 69-70 weeks up to Messiahs entrance into Jerusalem (which Robertson proved to the exact day where a day was one year), the 70th week must then follow the same patter; that being one day is one year. sorry, quick correction 'Robert Anderson', not 'Robertson'. "In English ears it must sound pedantic to speak of "weeks" in any other than the familiar acceptation of the term. But with the Jew it was far otherwise. The effect of his laws was fitted to render the word week capable of meaning a seven of years almost as naturally as a seven of days." He didn't use a 1 day = 1 year interpretation. He basically said what Fructenbaum did that it is literally "Seventy 7's". 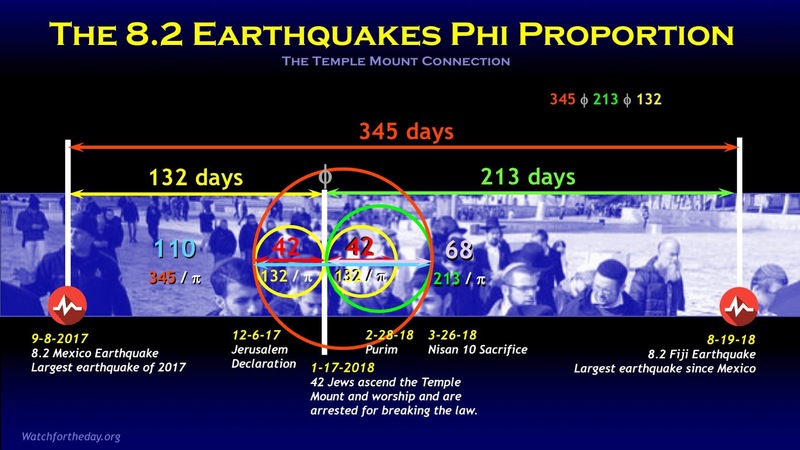 The context then shows that years are in view and so Anderson calculated the 69 years unto the days of Messiah (69 x 7 x 360 'prophetic day years' = 173,880 days) which he said came about when Jesus rode into Jerusalem on April 6th, 32AD. I'm not trying to make something big of it... And I'm not saying there is no use whatsoever of '1 day = 1 year' in scripture because there is such as Ezek 4:6. And I also see that there are types in 1 day = 1000 years. But I don't know of any '1 day = 1 year' method used in Daniel or any other future prophecy for that matter and using that type of interpretation leads to confusion, misunderstanding and disappointment. SDA's tried to do that with Dan 8:14 and came up with a date of 1844 for the return of Jesus. It was the sure thing year for HIS return. That year and event in history is now known as 'The great disappointment'. We need to be careful not to adopt the same interpretation method leading to the same result and experience. PS Go the AB's tonight! @elgordo dear brother I've read the same thing about the "Sevens" from Dr Steven Pidgeon from cepher.net recently but didn't yet right know what to make about it regarding our pattern of the 69+1 week of Daniel (to me it is rather confirmation than contradiction that we're in the right season). I know that the whole book of Jubilees counts all history of mankind in "Sevens / Seventy" though. Great game by the ABs last night Elgordo! (although I don't have TV so didn't have a chance to see it...). Yes, it's all coming together now, those that have been keeping tract can see it plain as the Light of Yeshua. Nine years ago next month when I received a supernatural healing while I was in prayer,after the Holy Spirit came over me to pray with 100% faith. What I know was the Holy Spirit I felt enter my broken back with His heat that healed me instantly.The next morning I find these three white letters on my jaw,that turn out to be Hebrew. "Be still, and know that I am God;"
I watched Brother Mike's video and am curious about no mention of Revelation 17:10. He pointed out the myriads of 7s associated with Trump, so one could reasonably guess that Trump is the 7th King mentioned in Rev 17:10. It says the 7th would only remain for a little while, so that makes me think Trump won't finish 1 term in office much less 2. And the 8th King is the beast. Maybe Trump's Presidency is interrupted by the Rapture. I think he had some very salient points, but I see an 2021 upper limit on the rapture (I could be wrong). So I think Trump IS a one term president and the rapture is what will end it. And he was only 8 months into his term when a sign prophesied in 90 AD occurred... and nearly 70 years since Israel became a nation. Also, if the Psalms correspond with the year, as I believe they do, then Psalm 117 is the shortest and it also comes in the middle of the Bible. Almost as if separating one Age from the next. That would mean we are in the Psalm 118 year. Psalm 119 is the longest in the Bible. So, this year is between the shortest and longest Psalms. Plenty has happened this year already, especially for Israel. A lot more may be ahead. Thank you Gary! Awesome read! I appreciated the links to other articles as there were some that I missed. You can just feel that something is different. It has been that way for a couple of years now. This site is a blessing to me! I appreciate all of the articles and the comments. Yes, very much agreed. It feels like the Holy Spirit is stirring all of our hearts in anticipation. Something feels different. Also, Psalm 118 includes the verse "Blessed be He who comes in the Name of the Lord". We know the believing remnant of Jews will eventually say this about Jesus at the end of the Tribulation. God tells the end from the beginning. Revelation 17, the Woman decked out, is speaking about the Roman Catholic Church/Vatican/Pope. The pope is like a king if not more and higher, he is called the 'Vicar Of Christ' which literally means in place of Christ on Earth or anti-christ; he is THE anti-christ per se. The seven heads upon which the woman sitteth are the seven mountains of the Vatican/Rome or seven hills of Rome. Did you know that Washington DC has 7 hills and was first called 'little Rome' or 'Rome on the Potomac' as a nickname? Concerning the 7 Kings...there have been 7 popes, 'kings,' including the current one since Israel became a nation again in 1948. Benedict was forced to retire/quit by factions within the vatican to get the now pope who is a Jesuit leader in. This pope is a huuuge advocate of the ecumenical movement under the guise of tolerance and unity, all without addressing glaring issues concerning the Gospel. The eighth: Revelation 17:11 - And the beast that was, and is not, even he is the eighth, and is of the seven, and goeth into perdition. I'm not sure if it'll be a pope or someone else (UN secretary general that is a vatican official jesuit?). Concerning the 10 horns (kings and their kingdoms that give power to the beast): did you know that the UN has divided up the world into 10 regions for their millennial development goals? It could be that in the future there will be, if there isn't already, a ruler or 'king' so to speak over these regions currently but because of the timing these regions aren't acceptable to the world yet. With open borders being shoved down the throats of everyone things may be changing. Revelation 17:12-13 And the ten horns which thou sawest are ten kings, who have received no kingdom as yet; but receive power as kings one hour with the beast. 13 These have one mind, and shall give their power and strength unto the beast. The beast itself, I'm thinking is the UN, the one world governing body to rule all nations that will hate the whore and destroy her flesh with fire: the falling of mystery babylon, Vatican City within Rome (Revelation 17:18 - And the woman whom thou sawest is that great city, which reigneth over the kings of the earth). This has become my understanding of the beast and the whore that rides the beast. Anyone have anything else to add or take away. I've learned a lot concerning the Vatican from Israeli News Live, Steven Denoon. Some very interesting connections between the Vatican and Israel; Israeli leaders selling their country and people out to the vatican. dear reticent, don't forget to listen to Dave Hunt on you tube speak about the contents of his book, The Woman who rides the Beast. I came across another interesting article about a new Instagram photo trend with the hashtag, "fallingstars2018." Wow, Ryan. Thanks for sharing. The timing of this Instagram trend is eerie considering how close we are to the fulfillment of Revelation 12:7-9. The Word of God confirms that the fall of these wicked angels will not be so...glamorous and fashionable. Ryan, that's an awesome find. Reminds me of the Beyonce's Rev 12 mockery at the Grammys. Very odd and morbid indeed. No wonder it is called the "Me Generation". Seriously? 8.2 just reported in the Pacific. The Hajj is the annual pilgrimage to Mecca of those in the Islamic faith. Every Muslim who is "able" is required to make one Hajj in their lifetime. It is typically a time of real violence and deaths because of the crowds etc. And speaking of the Hajj, apparently the millions of Muslims making there way to Mecca were met with unexpected HURRICANE FORCE WINDS! wow interesting - I hadn't seen the hurricane force winds report. How long til their eyes are opened!!! Wow! That is amazing about the Phi ratio! And they say we all happened by chance. How can people not recognize the patterns that are all around us proving the existence of God? 6.9 Earthquake in Indonesia today. Let me clarify, 2 earthquakes in Fiji and 2 earthquakes in Indonesia in the past 2 days. One more addition.... that are above 6.0. Lately, the news has had several stories about discovery of water in other planets. These lost, confused, educated, and highly intelligent scientists have discovered water in outer space. They are bragging about their wonderful finds of H2O in at least 1400 of 4000 planets that orbit stars. SEE?!!!! His Word IS TRUE! I am no Chuck Missler or other great student of the Bible, but it quite plainly indicates that God made countless trillions of gallons of water (He spoke every single molecule into being and knows exactly how much there is), and then when He created earth, we got a little bit of it. You have a definite point there. I noticed that last week it was announced that scientists had discovered a hydrogen cloud that completely surrounds our solar system. Hydrogen is the basis of water (2 hydrogen, 1 oxygen). Yep, God's Word is TRUE. I came across another interesting article today titled, "Jordan-Israel negotiations set to bypass PA." In it, the author explains how a recent story published in the Jordan Times makes the case for Jordan being the true partner in a future peace deal with Israel and not the PLO. Furthermore, the author states that negotiations between Jordan and Israel, based on President Trump’s long-awaited peace plan, seem "increasingly likely to happen" and that results could be achieved in "a relatively short time." Hopefully someone more studied than I will answer. I Think you should find about "Calvinism" I'm not a Calvinist as I believe in free-will. Find out about John Calvin, the man, and what he did to his friend who didn't agree. 5 point Calvinists Believe all five points of T.U.L.I.P. The P is for predestination. I understand what you're saying now, don't worry about it. For what it's worth, I think both Calvinism and Arminianism, overly systematized "camps", both have a piece of the scriptural truth on the matter of sovereignty and free will, but they neglect the Scriptures on the other side. Why can't God be completely sovereign over all the details and we still have free will? I say both are true. I definitely believe total depravity is firmly biblical. And free will—at least compatibilist—is biblical, as well. In other words, Pharaoh hardened his own heart, but God simultaneously hardened Pharaoh's heart. Both are true. Finite man sees a contradiction, but God is multidimensional and sees (and plans) the end from the beginning. THAT'S what I was trying to say! God knows everything so it only makes sense that He would know who would freely choose Him or would turn their backs on Him right? PA newspaper reports Trump peace plan to be unveiled during president's speech to UN General Assembly in September. https://www.israelnationalnews.com/News/News.aspx/250824 Sorry I don't know how to make a clickable link, just good ol' copy n paste. Thanks for sharing that link. Very important find! I've included it in the article. PS: check out Rev12daily latest thread and 3x different videos on the "Peace Deal" topic presented, please also note James Smith on YT very good preaching on this too. @ Gary, thank you for the link help! That's the kind of learning I do best...by doing! I'm glad what it came across was found useful! @ Annabel, I too hope to be gone by then, of course! We shall see, though the waiting part IS hard. I was also considering the "upgrade" idea. I think it likely. I'm praying for you all! Blessings to all! Maranatha!!! Trump unveiling the peace plan (Deal of the century) which will be confirmed by a political leader from the EU? That person from the EU will be the antichrist. I just made an important update at the end of the article. Check it out! 69 earthquakes in the Ring of Fire in the last 48 hours ! God is working it out so perfectly ! Wow!!!!! This is really something to be able to witness. Pastor Rich, I'm going to write that last sentence down and read it daily;that is the TRUTH! Last night, my wife told me that a very sick little girl in her class, that we've all been praying for, was able to stay in class nearly the entire day, and she did great! The little girls' Mom didn't think she would be able to start school before yesterday, and could not understand why her daughter all of a sudden felt much better. My wife simply said to her "I do." God seems to gives us these little spots of brightness to give us hope in this very dark world. Praise the Lord God in Heaven, I could never make it without Him. As you say Pastor Rich "Anchor your faith in the LORD." Truer words never spoken, and we would do well to always remember them. God Bless. Another big quake: 6.3 near Oregon.